Last week I gave a talk at the LAC 2017 congres about how me and my research group are working on how to improve the automatic reconstruction of microservice-based architectures. 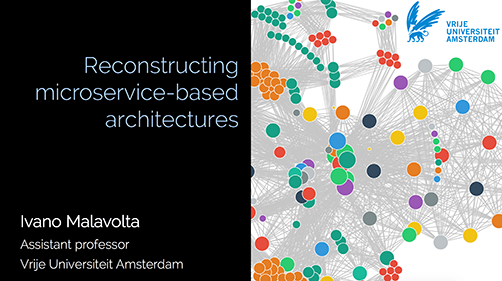 Having a clear (and automatic) understanding of the software architecture of a microservice-based system is specially interesting and useful when planning new features of the system or when performing maintenance. Here you can find the slides of the talk.